The following is a transcript and corresponding video of a speech delivered by Ronald Reagan, twenty-eight years ago today–Independence Day, at 10:06 am on the steps of the Jefferson Memorial. If you would excuse me for a moment, I see that the uniform of the day has already been decided on. [At this point, the President removed his jacket.] Well, the Vice President and distinguished guests, members of the administration and members of the team, before starting, I would like to thank Ollie delChamps, chairman of the U.S. Chamber of Commerce, and the rest of you from the chamber for all your help on this event and all the help you’ve been over the years. In 1776 John Adams predicted in a letter to his wife that every year the people of the United States would joyously celebrate their nation’s independence with pomp and parade, with shows, games, sports, guns, bells, bonfires, and illuminations, from one end of the continent, he said, to the other. Well, tomorrow on the Fourth, it is easy to predict that the festivities and merriment that Adams foresaw, will be apparent throughout the width and breadth of our country. Many of you may look back, as I do, on the fond memory of last year when together we rededicated our beautiful lady, standing there with torch held high in New York Harbor. One of the opportunities this job affords me, and one for which I am most grateful, is representing you, my fellow countrymen, at such ceremonial events as the rededication of the Statute of Liberty, the marking of the D-day landings in Normandy, and now, this year, the commemoration of the 200th anniversary of the Constitution of the United States — remembrances that have a special place in the hearts of all who love liberty. It is this love of liberty, at the heart of our national identity, that celebrates our separation [separates our celebration] of independence from those of most other nations. It’s what made the struggle of our forefathers, a little over 200 years ago, different from any conflict that has ever happened before. Down through history, there have been many revolutions, but virtually all of them only exchanged one set of rulers for another set of rulers. Ours was the only truly philosophical revolution. It declared that government would have only those powers granted to it by the people. It was a 33-year-old Thomas Jefferson who penned the words and constructed the phrases that captured the essence of it all. He wrote: “We hold these truths to be self-evident, that all men are created equal; that they are endowed by their Creator with certain unalienable Rights, that among these are Life, Liberty and the pursuit of Happiness. — That to secure these rights, Governments are instituted among Men, deriving their just powers from the consent of the governed, — that whenever any Form of Government becomes destructive of these ends, it is the Right of the People to alter or abolish it. . . . ” These inspired ideals are written on the walls of this memorial. It was this revolutionary concept of representative government and individual rights, as well as the cause of national independence, to which the Declaration’s signers pledged their lives, fortunes, and sacred honor. Each generation has done the same, and tomorrow we’ll make that pledge again. Let no one charge, however, that ours is blind nationalism. We do not hide our shortcomings. Yes, we have our imperfections, but there are no people on this planet who have more reason to hold their heads high than do the citizens of the United States of America. The next 5 minutes of the speech can be heard here in the following video. I encourage you to read the rest of the speech here which highlights the 10 Economic Rights. “In the early days of the American Revolution, no two individuals worked more diligently together than did Thomas Jefferson and John Adams. Yet once our country attained its independence and once partisan politics set in — and it set in early — they drifted apart; in fact, they became bitter political enemies. Last Fourth of July, I related the story of how those two old gentlemen, heroes both, rekindled their friendship in their twilight years, corresponding regularly, writing affectionately of the many memories they shared, and, yes, discussing their beliefs and values. Both of these men, giants to us but mortal to be sure, died within hours of each other. It was July 4th, exactly 50 years from the date of the Declaration of Independence. It’s reported that John Adams’ last words were, “Thomas Jefferson survives.” History tells us, however, that Jefferson had died shortly before John Adams passed away. But Adams was right. All of us stand in tribute to the truth of those words. We proclaim it again and again with our dedication to keeping this a land of liberty and justice for all, and through our deeds and actions, to ensure that this country remains a bastion of freedom, the last best hope for mankind. As long as a love of liberty is emblazoned on our hearts, Jefferson lives. Reflecting on the most recent Supreme Court rulings with regards to ObamaCare and Gay Marriage, the headlines that strike me are found here, here, here and here. Even The Sisters of the Poor have to fight the federal government for their religious liberty; thereby, forcing me to ask to those that are celebrating these decisions, did love really win? The internet was certainly awash with #LoveWins and rainbow avatars, along with plenty of vitriol as Christians were publicly called bigots and haters, myself included. What’s with the H8 speech? Yet, the ironically titled “NoH8’s” targeting campaign started in CA. The march had begun. Our Whitehouse, overnight, became an illuminated political statement for few and not for all. One Nation Under God with Liberty and Justice for All seemed to shockingly transform to One Nation under Government with Liberty and Justice for Some. 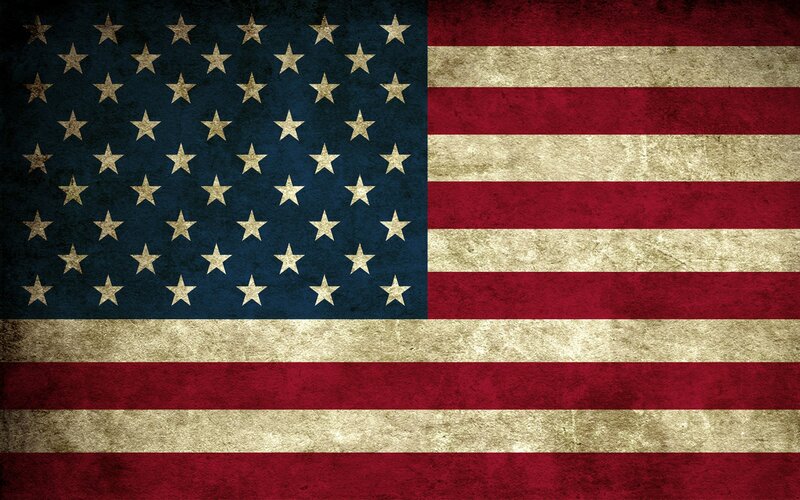 On this weekend, we celebrate our independence, united under one flag. We honor the sacrifices that men and women have made to protect and secure our freedoms. We revere the light of liberty, a beacon that has guided millions to our shores in search for life, liberty and the pursuit of happiness. If Thomas Jefferson and John Adams can agree to disagree, we owe each other, and their legacy, the same amount of respect and dignity. May liberty be emblazoned on our hearts. I remember this speech that Reagan gave . It’s one of the hundreds he gave during his presidency and every one of them was an inspiration to all. I believe that to the Fed, it really comes to a simple axiom …”follow the money”. In their eternal quest to feed the beast, they have long coveted the money that exists in those tax-exempt religious organizations (the icing on the cake being those marriage license fees and the ‘marriage penalty’ for the IRS). With no moral compass to restrain them, they go for the gold …so to speak.